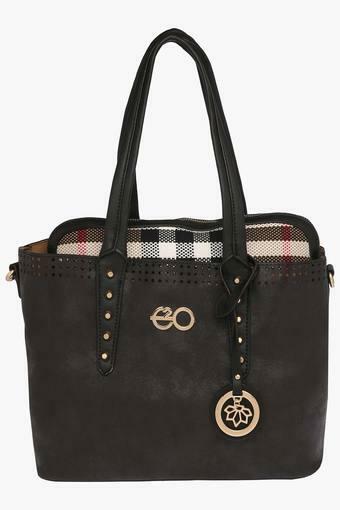 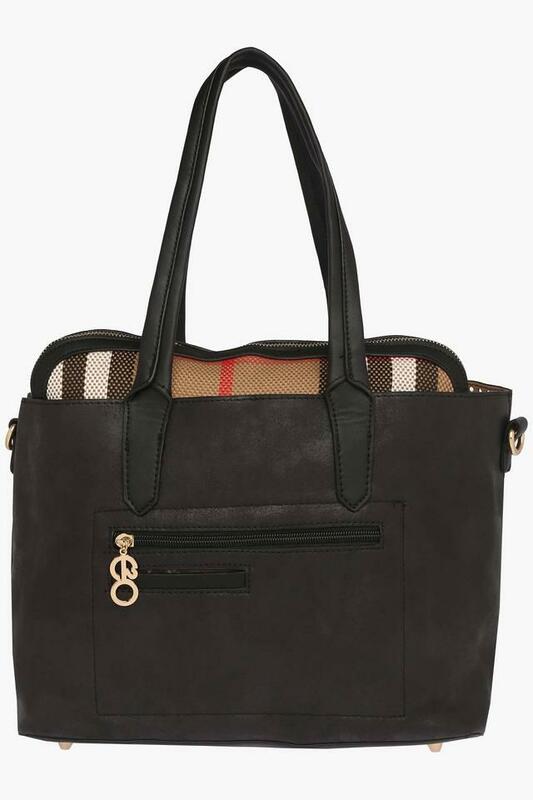 Designed to perfection, this tote handbag from E2O will become your favourite in no time. 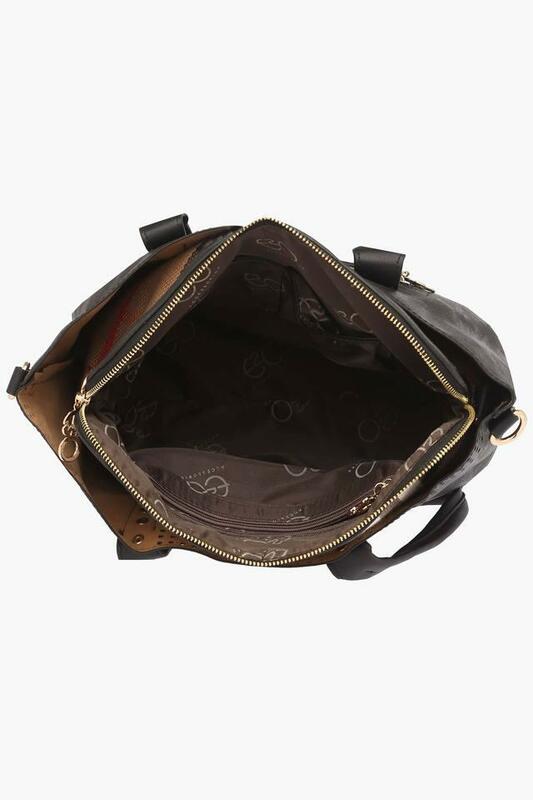 It comes with short straps, which make it convenient to carry. 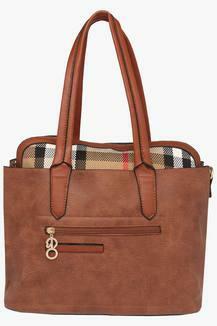 Crafted from synthetic leather, it has a good finish and is also quite easy to maintain. Moreover, it has a pouch with a slip zip separator that makes it utilitarian. Set a new trend by carrying this tote handbag, which comes with a pouch. 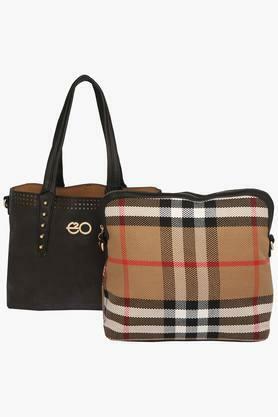 Suitable for casual occasions, it will go well with a wide range of outfits.